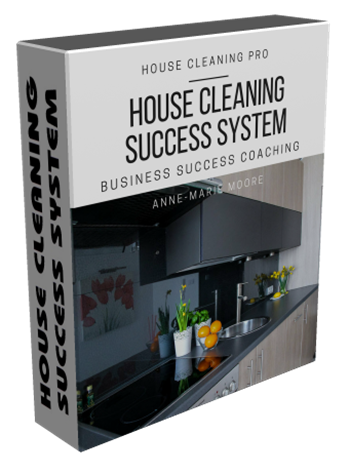 Premium House Cleaning Success System $497.00 This purchase includes everything you need to start, run, market, and grow a residential cleaning business. Also includes 30 days of personal coaching. Guarantee/Refund Policy: 30-day refund guarantee - a full refund if you are not able to make this blueprint work. This refund is valid only after joining and participating in the coaching program included with your purchase; you must complete all assignments scheduled by Anne-Marie. To succeed with this offer, you must be "coachable." NOTE: House cleaning is not for you if you are not 100% physically able to do the work. Your purchase WILL NOT be refunded if you decide the work is too difficult. Sign up for the Guide on the home page to decide if house cleaning is a good fit for you.